Footballers are famous for it, Olympians do lots of it and even surgeons and pilots are known to partake! It hones the skills, improves decision-making and allows us to develop new skills whilst testing our abilities. And what else? Well surprisingly the more we do it the better we perform. So why is business so slow to embrace it? What am I talking about? Well it’s all about using exercises to build confidence, test ideas, check capability and in general to get much better at the day job and very much better at handling those difficult situations that come along when you least expect them. 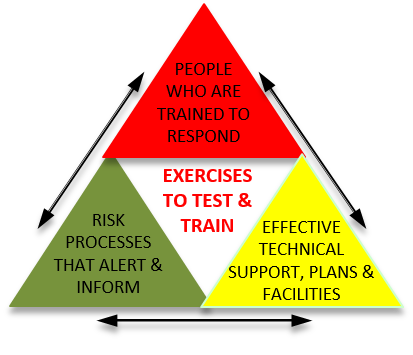 This blog goes out in Business Continuity Week (#BCAW15), and uses a simple 4 step model to demonstrate why testing and exercising is essential for an effective business continuity programme and is central to developing a strong organisational capability in responding to the unexpected. Four simple steps: that’s all it take to transform the capability of your organisation. What’s more, you can start with a simple warm up and build gradually to the sporting equivalent of a full blown marathon or “live” championship match. But at each stage make it real; create the environment, the context and the feel that provides the engagement and the meaningful feedback. It’s people who make organisations work so get them engaged. Share information, encourage participation and dialogue and start communicating. Take a look at your business to decide what is current, what is important and understand what you can expect from your staff when problems occur. 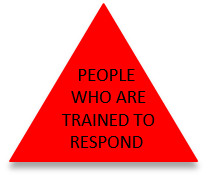 Make it the business of your people to be ready to respond and make it about your nominated response team members and also your wider organisation. Sharing ideas and information is a great place to start, but it is much more effective if you can create an experience in which ideas can be tested and played with. Risks are dynamic, business is dynamic, why then do we expect to benefit from static conversations and the odd slideshow? 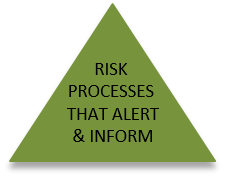 Review your internal processes for the identification and categorisation of risk: it’s OK to look at how you identify and capture risk but much better if you challenge how you communicate the risks, the mitigation and control measures. Talk to your staff, long-term contractors and trusted customers to see if they share the same understanding and knowledge of the risks as you. Start with the management team then survey the workforce and don’t be surprised if the views that are shared are not what you originally expected. Do your teams know what they should do? Are they open and communicative or trying to control and hide problems? How will they react and how consistent is this reaction across the business? Remember that writing down the rules by creating procedures and policies is fine for establishing a framework, however communicating them is essential and encouraging their application is a key part of the cultural and management processes. But at the end of the day nothing works better than playing with the procedures and policies in realistic environments to test how they work and help staff understand what their roles and responsibilities are. 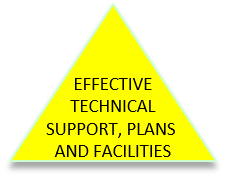 Just check that the information and documentation people need to do their jobs is available, that the supporting arrangements, including facilities, are accessible and working and that the resources required when the problem strikes can be put into place quickly and effectively. Don’t assume that people will know what to do and how to do it: there really is only one option to consider – “let’s do it”! You would not expect professional sports men and women to read the manual, watch the video, walk on to a field of play and turn in an exceptionally good performance. So what about the people in charge of the business who, when the pressure is on and things start to go wrong, are expected to put in world class performances dealing with problems they may never have seen before. That takes us to the fourth and final step. 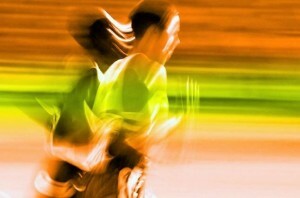 select the best exercise method to deliver the best results. Please make sure whatever you do that you do it well; make it real or the lessons you learn could be false and the techniques you practice may not be beneficial. Yes you can do it yourself but professional guidance and facilitation helps. Start by getting a programme developed that suits your business, take steps to match your capability, agree what you and your teams can achieve internally and where external support would be beneficial. Set goals and decide that at some point in the future you will run a “live,” complex, testing, challenging, simulation based exercise that pushes your capabilities to the limit. And when you do…..I guarantee your business will be in the best shape it has ever been.